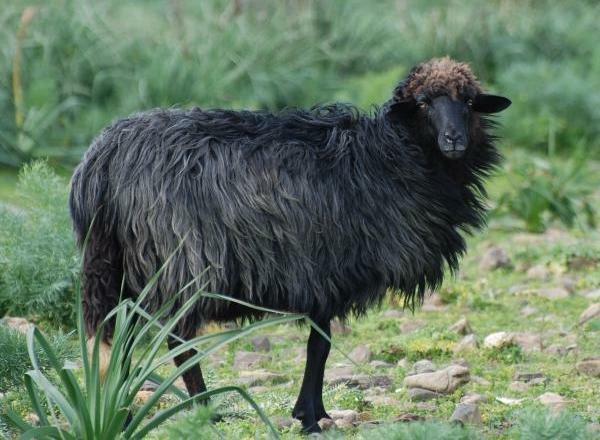 Nera di Arbus, or Pecora Nera di Arbus ("black sheep of Arbus"), Sheep are medium-small from Arbus in the south west coast of Sardinia, Italy. They are found in the provinces of Cagliari, Nuoro, Oristano and Sassari. Their hair is black, sometimes with shades of gray lead. They have course wool and it used to produce orbace, a coarse hand-woven cloth, used to produce traditional Sardinian garments.